Social media is becoming an important platform when it comes to job search. Almost all social media platforms have the potential to bring forth valuable job opportunities that you will definitely want to avail. Not only do social searches bring relevant results for job searches, but you can also get a social contact to give his or her reference if you are able to convince the person. From the recruiter’s perspective, the social profile allows them to get a better understanding of the candidate and the way he or she engages with others on a social platform. Amidst popular social platforms suitable for job searches, Instagram is coming up as a new and potentially beneficial platform for job seekers and recruiters. With a little tact, you can use Instagram as an advantage in your job search. Not only is it a good way to establish your personal brand, but it also demonstrates a marketable skill (social media) and enhances your overall digital savvy. Cameron Laker, CEO of the recruitment solutions company Mindfield, tells Business Insider that organizations are starting to use Instagram as a platform to display company culture. This gives adequate opportunities to the job seeker to check out a company’s work culture and analyse whether the environment is a good fit for you. As a job seeker, you can explore the hidden facts about a company’s working environment just by going through the company’s Instagram page. You can also check out the Instagram profiles of people working in the organization. Remember, people only post things that are unique and worth sharing. This can include casual candid moments as well as official events. In all probabilities, you might not find most of these pictures on the official website. If you check out regular updates, you might find something interesting that can be used as an ice-breaker during interviews. Thanks to the “interesting topic”, you can easily set up a good conversation with the recruiters and this will be a much welcome change from the gruelling questions and the long hours that they have to bear while recruiting. 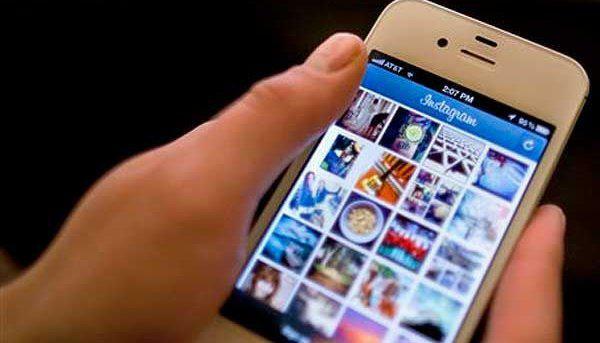 Companies are increasingly turning to Instagram to promote their cultures and their open jobs. You should not expect all companies to have their Instagram accounts because this is a gradual change that will develop into a wide scale implementation in the times to come. By checking out the company’s Instagram page, you will be able to get the leverage against your direct competition because most users do not use Instagram for job search. They might not even be aware of the possibilities of using the platform as a job search tool. Come up with a list of companies that you would like to work with. Search them on Google by adding the suffix “Instagram” to the company name. If the company has an account, it will show up in the search results. If the company does not have an Instagram profile, don’t worry. You can check out the profiles of the employees and find useful information there. Simply check out the LinkedIn page of the company and then search the Instagram profile of the person on Google. Just keep checking the updates and you will be able to come across useful information as and when they are shared by the employee(s). It might be difficult to keep your personal and professional life separate with just one profile. The best thing to do in such a situation is to create different accounts for personal and professional use respectively. This does not mean you can be casual about your personal account. You need to be careful with the type of content that you publish. But creating different profiles will help in managing this easily. As a job seeker, you need to show your worth and interest to the recruiters. Make sure you upload pictures of your work, achievements or even board meetings to show your dedication and involvement towards your work. This is a good way to brand yourself on Instagram. Add company profiles as well as professionals who are associated with companies where you would like to work. This will help you to strengthen your network and bring you one step closer to opportunities. A good network will always give you the winning edge against your competitors. Your profile should always be kept updated and optimized in order to attract potential influencers to your profile. If you want specific companies or people to notice your content, then tag the prospects. This will increase the chances of engagement and you will be able to ensure the visibility of the content to the desired audience. Hashtags play a very important role in increasing visibility for your content and profile. When potential recruiters search for popular trends using hashtags, then your content can show up in the results. Look at the hashtags your target employers are using and try to use those hashtags as well to give your Instagram account ‘search engine optimization. Instagram is at a nascent stage when it comes to using the platform for job search. The possibilities are quite huge and the minimalistic interface helps in keeping things simple and relevant. If you often find it difficult to express yourself or lack the confidence to come up, then Instagram can help you to overcome your weakness by allowing you to express more with pictures. After all, a picture does convey more than a thousand words. By adding Instagram to your job search strategy, you can stay leaps ahead of your competition because there aren’t many job seekers who are actively using it for adding value to their job search efforts. Try to search such platforms and identify their potential benefits in terms of finding job opportunities and professional networking. By doing so, you will be able to come forth as a proactive person which every recruiter prefers to have in their organization.